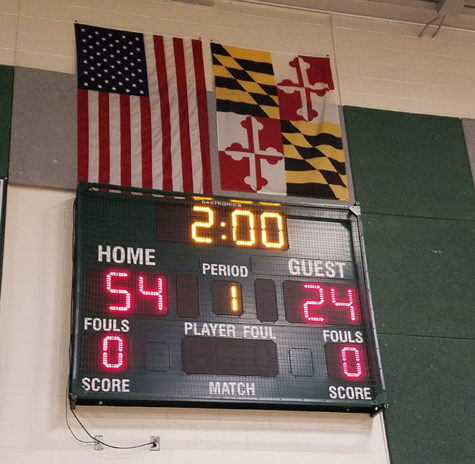 This weeks Sports Spotlight of the week is on the Tuscarora Swimming and Diving. The team’s head Swimming coach is Matt Ginalick and their Head Diving Coach is Michael Good. 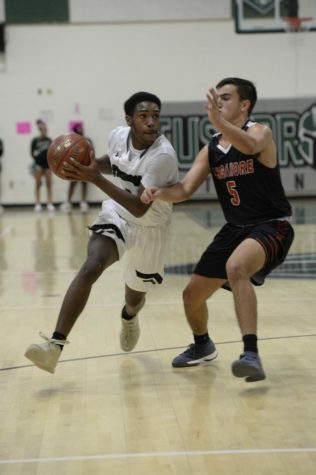 This year has been a somewhat turbulent year for the boys team but they are making gains while striding along with the girls team. 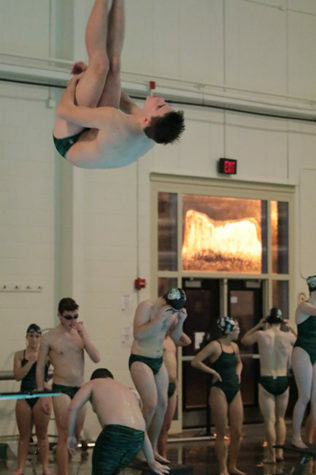 One of the swimming and diving team’s best divers is Josh Crocker, he has been competing with the team for the entirety of his high school career. Of his dive coach he says that “[Coach Good] is definitely one of the tougher coaches in the county, I feel we get pushed harder than most but I think we are better divers because of it”. The girls swim team is currently undefeated in their season and could find a couple of their swimmers headed off to regionals. They are currently dominating in all 4 of the different strokes and Freestyle swim. Each day the team has a practice and for most meats our Titan swimmers and divers have to head over to Middletown High, where one of only two school pools in the county is located. 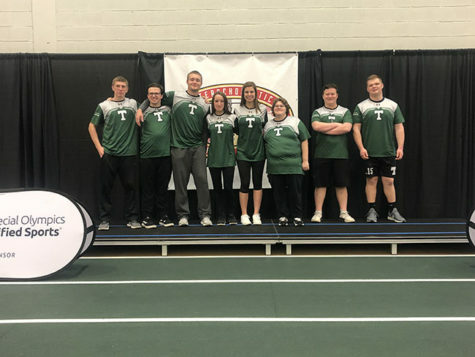 So to say that these titans are committed to their sport might be an understatement. 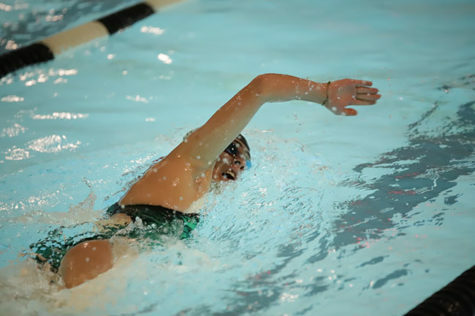 The swim team’s captain, Rachel Gibson, has been swimming with the team for 4 years. In looking back on her career she had this to say “I’ve learned the value of teamwork even though it’s and individual sport. 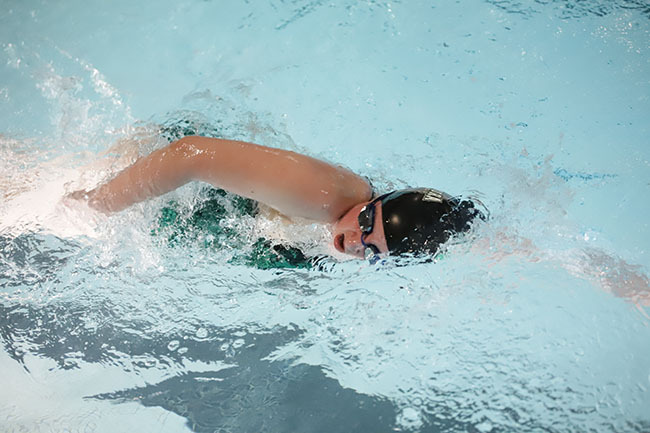 My Coaches have pushed me by giving us challenging sets and as a result it’s helped me become a better swimmer”. 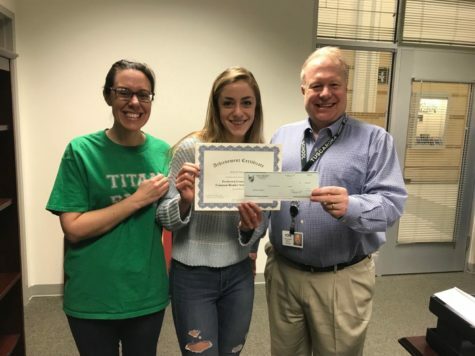 Another notable girls swimmer, Allison Hankey said this about her time with the Tuscarora swim team “I’ve learned from my coaches that hard work and dedication along with some pushing is the best way for not only me but most others to improve”. Both of the swim teams seem to be heavily influenced by the efforts of their seniors. So we caught up with the seniors to figure out what their biggest take away from swimming and diving was. 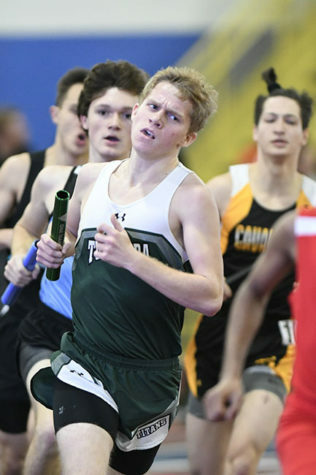 Cameron Davis said “the sport taught perseverance and good teamwork, especially in relays”. Talking to the rest of the team they said that what they’ve learned through the years is that you can never take anything for granted, no practice, not warm ups, not laps, nothing. If you work at everything like it’s your last time you’ll go far and always be proud of yourself. Come support the Titan Swim & Dive team this Saturday the 9th at Walkersville High starting at 10:00 am.